The Music Zoo is proud to be an authorized Dean Gordon Guitars dealer! Built down the street in Queens NY, these exciting guitars combine futuristic curves, exotic and hand-picked tonewoods, and a unique aircraft-grade aluminum lower horn, designed for comfort as much as wow-factor! Video – Dean Gordon Virtus Demo! The Virtus from Dean Gordon guitars is definitely one of the wildest designed guitars we’ve had here at The Zoo, and it’s surely one of our favorites as well! 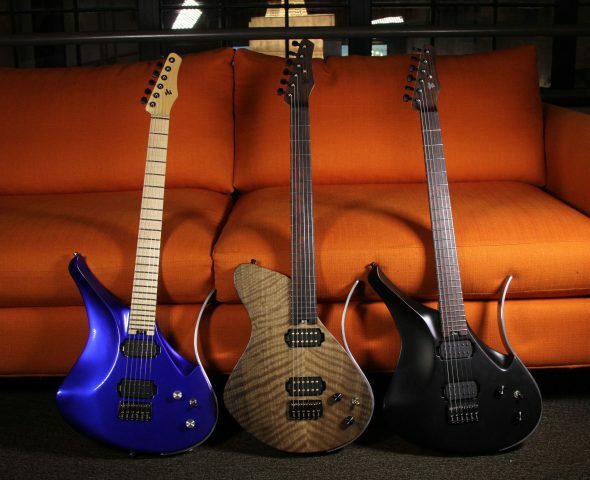 Watch our very own Jordan Usatch of Husbandry lay down a few riffs on one of these models! Available right now, in-store and online at The Music Zoo! Click here to view our entire stock of Dean Gordon Guitars! New At The Music Zoo! Dean Gordon Guitars!